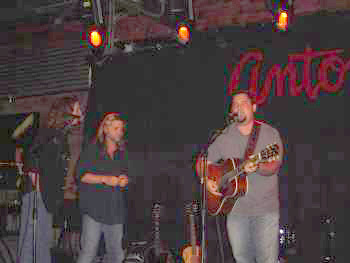 Bruce & Ricky from KB Talent in Austin put together a great group of musicians to honor Buck's life. 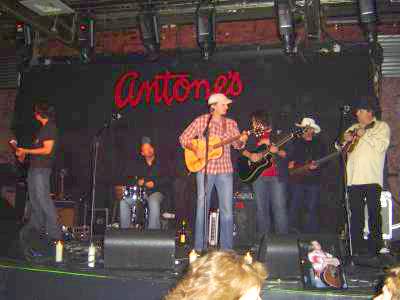 The benefit was held on Monday May 21, 2007 at the historic "Antones" in downtown Austin. My friend, MaryAnn joined me and rode down for the show Monday afternoon. We arrived at the club soon after the doors opened and were able to grab great seats in front of the stage. 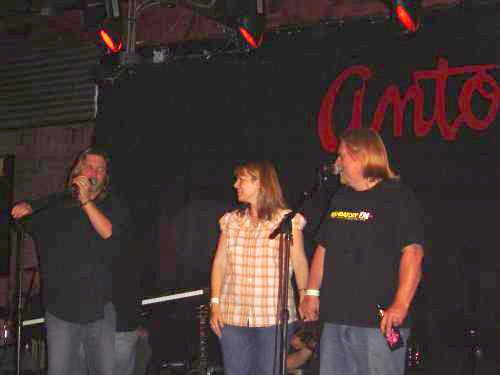 Many of Buck's family members (including his wife Amy Beth) were in attendance, as well as many of his friends and peers in the music business. It was another emotional night, as musician after musician got up and spoke about their feelings and friendship with him. Everyone that played got to do 2 or 3 songs, and then it was on to the next. It ran very smoothly - there was really never any "down" time between sets. I took pictures of everyone that played but it was very dark inside the club, so the pictures were very dark. 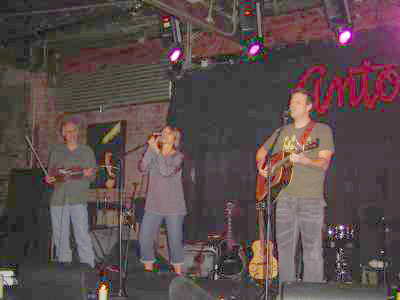 I want to thank Rob Davis ( who is an army nurse in Iraq) for taking the time to "lighten" the pictures for me. They are much easier to see! Thanks Rob! !, This is my attempt at a "review" for anyone that was unable to attend the show. 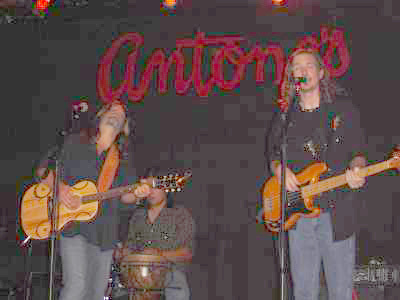 Walt Wilkins served as "host" and his band The Mystiqueros! were first on stage. 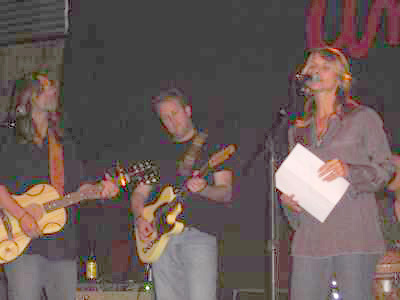 They played a few songs and Walt's wife Tina Mitchell Wilkins, joined them for a few more. 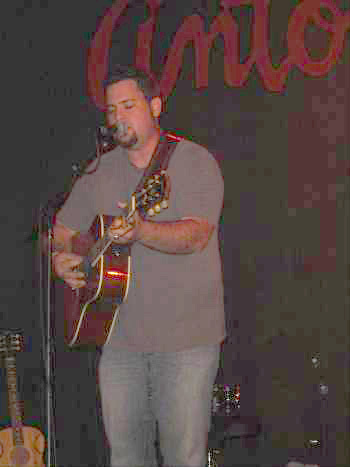 I was excited to see that Tim Lorsch had come all the way from Nashville for the show. 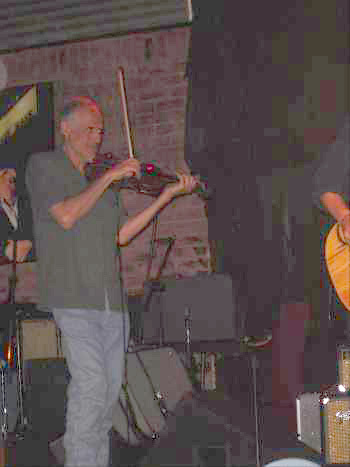 He ended up on stage during many of the sets, accompanying musicians with his beautiful fiddle playing. It was great! Sam Baker was up next. 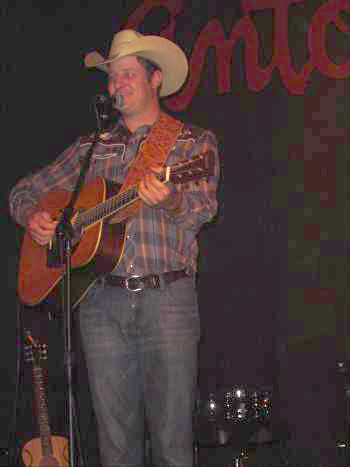 He sang "Truale" (a special request from Buck's dad, Tim ) and "Things Change". 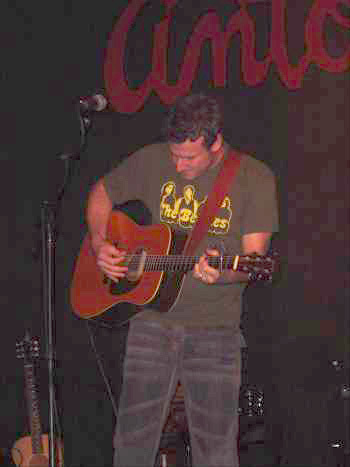 Walt got up between sets and read an email written by fellow musician and friend, Davis Raines. It was a beautiful tribute to Buck and his life and music. Bonnie Bishop was up next. John Hollinger, from "Mandatory FM" in Stephenville, got up between these sets and spoke of his feelings for Buck. Then, Bonnie told a very touching story about meeting Buck and becoming friends. By the time she started playing, I don't think there was a dry eye in the place. 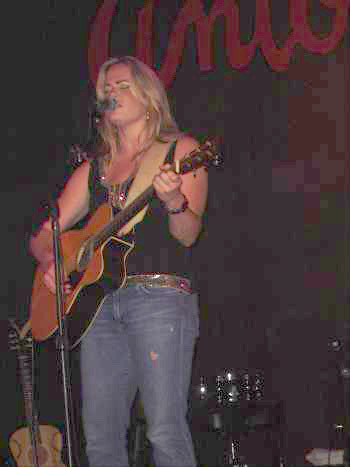 She dedicated a beautiful song "Red Moon" to Buck ( and Ryan James joined her in harmony). Ray Wylie Hubbard was up next. He told a couple of very funny stories about his friendship with Buck. 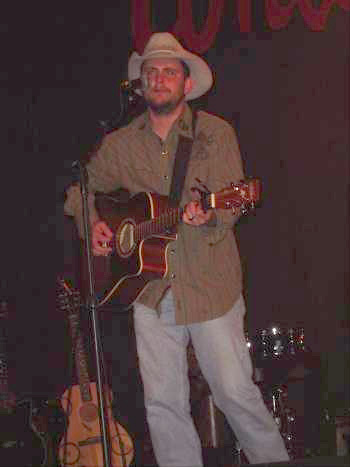 Josh Grider was up next with a very touching tribute. 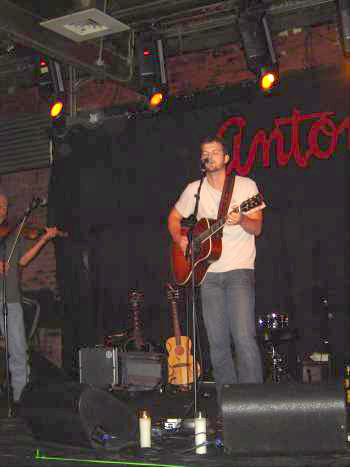 Tim sat in on fiddle (you can barely see him to Josh's right). Mike Graham was up next. 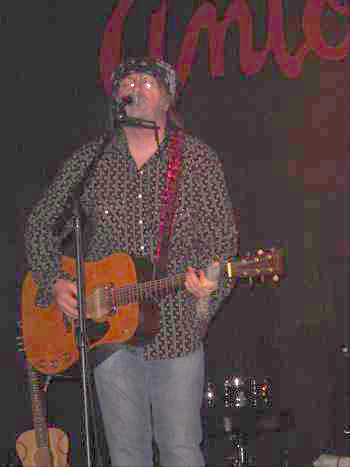 He sang a song he wrote ( which Buck recorded on his CD "Lucky Star) titled " Gonna Be Alright ". One of the things Bonnie Bishop spoke of was the impact of Buck's death on her own life. I want to say at this time, I feel the same way... life is short and everyone needs to make the most of it, while they can. I love these musicians like they are family and I go to bed every night and say a little prayer for them to get home safely to their loved ones. 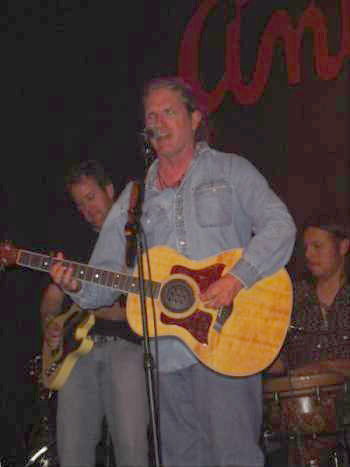 Buck had recently taken the step of becoming a full time musician, and I am sure everyone that loved him is happy that he was able to do what he had dreamed of doing, if for only a short time. Buck will be dearly missed, but definitely never forgotten. 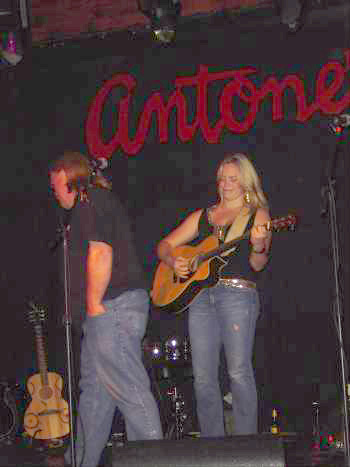 and Tim and Tina joined in. 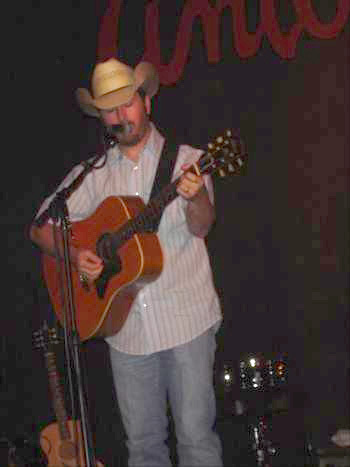 Ryan James also spoke of a special Clubhouse Concerts show, when Ryan, Buck, Jason Eady & Sam Baker played for my birthday party. 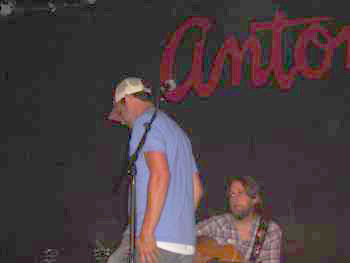 He talked about how Sam finished singing a song and Buck got up off of his stool and walked over to Sam and high fived him. I will forever cherise the memories of that night. Thanks, Ryan, for reminding me of that moment. 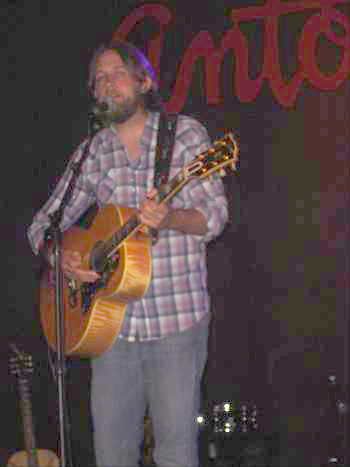 Jason Allen was up next. 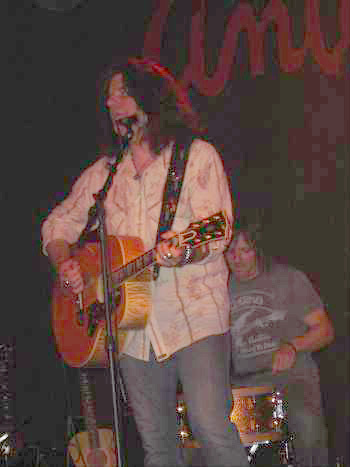 He told the audience that he and Buck had written a song together, and it would be on an upcoming cd. 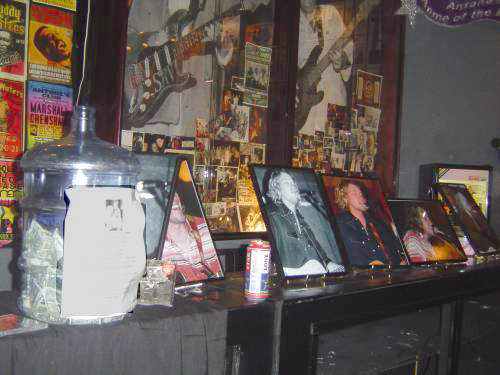 There was an area set up with the photos from our benefit at Billy Bob's and a donation jar. 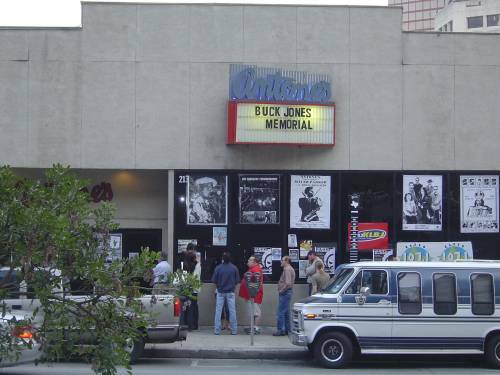 They were also selling copies of Buck's CD "Lucky Star" and Walt urged everyone to pick up a copy and help keep Buck's music alive. MaryAnn and I each bought one (and listened to it all the way home from Austin). If you get a chance, pick one up! 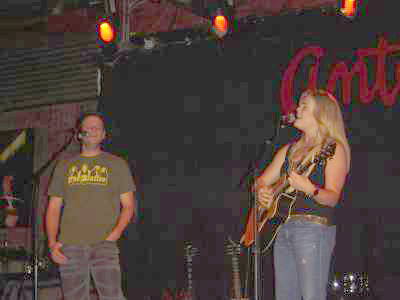 Towards the end of the night, Buck's wife Amy Beth came up on stage and thanked everyone for coming out to the benefit. The money raised will go into a college fund for their young son, Walker Dylan. She spoke of how she see's Buck everytime she looks into Walker's blue eyes. Again, not a dry eye in the room. Here, Walt and John Hollinger are introducing her. Lastly, a thank you to Walt Wilkins for being such a kind soul. Thanks for walking us to our car after the show and mostly, thank you for caring about your fellow musicians and friends.